Why Are Things Becoming More Difficult for Public School Teachers? Being a teacher has never been easy but changes in federal funding and legislation have made it harder than ever for public school teachers. Keep reading to learn more. Public school teachers have a wonderful opportunity to shape the minds of the next generation. There is a great deal of satisfaction that comes from making an impact on a child’s life, but being a teacher isn’t always easy – especially in public school. Teachers have always faced challenges but, in recent years, it seems to be getting more and more difficult for public school teachers to do their jobs well. Keep reading to learn about some of the current challenges facing public school teachers and what they could mean for the future. What Are the Biggest Challenges Teachers Face? It is difficult enough to wrangle an elementary-age child but being responsible for a classroom full of them is another challenge entirely. When you throw in behavioral problems, it only makes it more difficult. Not only do you have to deal with poorly behaved students, but because you are forced to dedicate extra time to those students, the rest of the class may be neglected. Plus, taking the time to deal with behavioral problems takes away time you could be teaching. Another major challenge that public-school teachers face is limited resources and financial constraints. Many teachers end up paying for school supplies out of their own pockets because, if they don’t, their students would have to do without. In many urban environment, students don’t have access to textbooks or, if they do, they are outdated and falling apart. Dealing with troublesome students is bad enough but many teachers would agree that dealing with difficult parents is worse. Every parent thinks his or her child is the most important student in the class so, as a teacher, you’re forced to walk the line between keeping the parents happy and doing what’s best for your students. If you’re lucky, support staff and school administration is there to help, but that isn’t always the case. While teachers have some leeway when it comes to designing their curriculum and planning lessons, public schools are held to certain standards because they are dependent on federal funding. Unfortunately, this sometimes means that teachers are forced to teach their students in such a way that they will perform better on standardized tests rather than simply teaching them what they need to know to succeed. Add to this the fact that the school day is only so long, and you can see how teachers struggle to pack everything into one school year while still meeting these requirements. Now, let’s take a closer look at each of these factors and how they make a public-school teacher’s job more difficult now than it has been in the past. The United States is one of the wealthiest nations in the world and yet our students are performing woefully below students in other nations. This fact combined with changing skills in the workplace and a dearth of technically skilled workers puts additional pressure on the nation’s teachers. Much of this pressure comes from a movement that began in 2002 when the “No Child Left Behind” act was signed into law. This act was developed out of the concern that the American education system was no longer competitive on an international level. It called for an increase in the federal role that held public schools responsible for the academic progress of its students. The act called for a push toward reaching a goal of 100% proficiency in reading and math with a secondary goal of having 100% highly qualified teachers by 2006. By now, several states have opted out of the program and a new one has risen in its place – Common Core Curriculum. The Common Core State Standards Initiative represents a set of high-quality academic standards in both the English language arts/literacy and mathematics. These standards dictate exactly what a student should know at the end of each grade level in public school. In a perfect world, these standards would make sure that every graduating high school senior is fully prepared with the knowledge and skills they need to succeed in life or in college. Unfortunately, these standards create their own set of problems for teachers and students alike. Public school students are forced to take exhausting standardized tests every year and performance expectations are higher than ever. Meanwhile, public school teachers are required to stick to a strict curriculum, often with scripts they are actually required to follow in class. This puts added pressure on the teacher to follow the script and many teachers have begun to worry that they will be held personally responsible if their students fail to meet performance standards. In addition to the difficulties that come with teaching to specific standards under the Common Core Curriculum, teachers also find themselves dealing with more student stress. Rather than adapting their teaching to meet the needs of their students, teachers are required to follow scripts and they risk being down-graded if they don’t. When it comes to issues of funding for public schools, the waters are pretty murky. Generally speaking, the U.S. Government spends about 10 cents of every dollar on K-12 education. What you may not know is that this number is much lower than most other countries in the world. In fact, it wasn’t until President Lyndon Johnson passed the Elementary and Secondary Education Act that the U.S. government even created a lasting funding program for public K-12 education. So, if such a small portion of the funding public schools receive comes from the federal government, where does the rest come from? It largely comes from state and local governments from things like sales tax, income tax, and property taxes. As you can probably imagine, this level of reliance on local and state funding creates a major problem within the public education system. It means that the lowest income areas provide the least amount of funding to the districts that serve students who have the greatest needs. This is often referred to as the Funding Gap and it is a serious problem. Not only do schools and educators have to deal with issues like the funding gap in relation to local and state funds, but there are also problems with the misappropriation of limited federal funds. Take special education as an example. According to one estimate, 40% of federal funding increases since the 1960s have been focused on special education. These increases in funding are correlated with an increase in screening and support services for students with special needs. It is important to note, however, that teacher salaries have either barely kept pace with inflation or have remained unchanged in recent years. But what exactly does this mean? First of all, you should know that only about 10% of the American student population is special needs and yet these programs receive a disproportionate amount of funds. This makes sense when you consider that while providing special needs education is important, it only affects 10% of the population. Providing highly qualified teachers, on the other hand, affects 100% of the population. Another way to view the problem of misappropriation of funds is to compare the amount the U.S. government spends on education (compared to other countries) with the results of that education. Take for example the fact that Russia spends one-third as much as the U.S. spends on each child in a given year and yet their literacy rate is higher. In math, Russia scores one point higher than the U.S. and they score within 10 points in Science on international tests. Overall, the U.S. ranks 24th out of 45 for universal early childhood education. All of this is to say that public school teachers in the United States have some of the greatest resources at their disposal, and yet these resources are not being used to their best advantage. Rather, teachers are forced to make due with less than they need while being held to ever-increasing standards. Education has always been a public service in the United States but, in many ways, it has also become a business. Less than 8% of the nation’s GDP is spent on education and, while 80% of that spending is made by federal, state, and local governments, more of it is controlled by private entities. When it comes to government funding, every public-school student in the United States is worth about $10,000 per year. This means that, over the course of a child’s primary and secondary education, each child is essentially a check for $120,000 written to the school district. This is an average, of course, and some states spend more than others. For example, the state of New York spends over $20,000 per student per year. While much of that goes toward teacher salaries, it is also used to cover costs for employee benefits, administrative costs, supplies, and support services. Schools that depend on government funding are beholden to national standards. Charter schools almost walk the line between public and private schools by accepting federal funds as well as private donations. In areas where the population is wealthy enough to subsidize costs with private donations from parents, charter schools serve their students well. Meanwhile, traditional public-school teachers may struggle to provide their students with textbooks or with extra-curricular activities and programs for the arts. To give you an example, a charter school in Los Altos, California asks for a $5,000 donation for each child. So, while the school technically remains a public school, it is acting like a private school that is subsidized by government funding. Not only are public school teachers expected to meet certain standards for student performance, but it has become an increasing trend that they fill additional roles in their students’ lives. If you think back to the beginning of this article, you’ll remember some of the practical challenges teachers face – things like behavioral issues and special needs. These challenges can become a distraction in the classroom and they can prevent individual students from learning and progressing at the same rate as other students. In a perfect world, public services (both in the school and outside of it) would help to remedy those problems so they don’t interfere with a child’s education. Counseling – The whole point of the Common Core Curriculum is to prepare students for college and yet school counsellors spend just 10% of their time counseling students about college. School counselors are faced with overwhelming caseloads with the national average for student-counselor ratios at a whopping 460-to-1, compared to an ideal ratio of 250-to-1. Public school teachers are often forced to pick up the slack where counselors aren’t able to keep up with their caseload. Psychology – Mental health issues can affect people of all ages and they can be particularly challenging for children. In a school setting, a psychologist can help forge a link between parental involvement and teachers/administrators or special educators to help a student work through his challenges. Unfortunately, it often falls on the teacher to see that these services are implemented and to monitor and report on the student’s progress. Social Work – Public school students face a variety of challenges at home, in school, and in their communities. Whereas social workers once focused on issues of abuse and truancy, they are now called upon to deal with issues related to medical needs, food, housing, tutoring, and even developing social skills. Like counselors, social workers carry a huge caseload and it often falls on the teacher’s shoulders to identify the need for social services and to coordinate them. Special Education – Prior to the passing of the “Education for All Handicapped Children Act” in 1975, only 1 in 5 children with disabilities received any kind of accommodation at school. The program was expanded in 1990 and now over 6 million special needs children receive accommodations. Many teachers are still forced, however, to work with special needs students without support which means that they must take time away from other students to offer one-on-one direction. These are just a few of the many supplementary roles public school teachers often find themselves filling. Teaching is by no means an easy job, but it can still be quite rewarding. Unfortunately, all of the challenges discussed in this article lead to a high burn-out rate for teachers and salary discrepancies prevent the most qualified teachers from working in the school districts where they are most needed. The world of technology is advancing at an alarming rate. While many of these advances are beneficial, they can sometimes cause certain challenges. For example, public school students from low-income areas may not have access to technology at home or in the school yet, by the time they enter the “real world,” they’ll be expected to know how to use that technology. As a public-school teacher, you’ll be expect to know how to use new technologies and to make use of it for teaching purposes. This puts a great deal of pressure on teachers because they must often dedicate personal time to learning how to use the technology. You must also consider that low-income school districts may not even have access to the kind of technology both students and teachers are expected to be able to use. After reading this article, you may be second-guessing your decision to pursue a career in education. While the life of a teacher has its challenges, it also has its rewards. The truth of the matter is, however, that you need to have a passion for teaching if you’re going to survive in this field. Being forced to work under immense pressure and fulfilling a variety of roles for your students will be exhausting, so you need to be fully devoted to the task if you’re going to take on that kind of responsibility. Though teaching is definitely a challenging career path, it is worth it in the end when you see just how much you have impacted a student’s life. That is an impact that will live on forever. Are Teacher Unions a Help or Hindrance to Public Education? Can Your Child’s School Test Students for Drugs? How Should Public Schools Make Up for Snow Days? Drug Testing Teachers: Testing Positive or Negative? Should a Teacher’s Pay be Influenced by Student Test Scores? Is Prayer Coming Back to Public Schools? Is It Time to Say Goodbye to No Child Left Behind? Do Expulsion and Suspension Work in Public Schools? 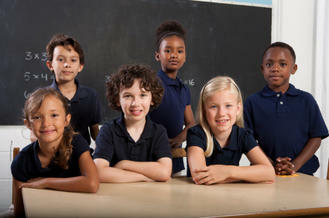 Can Public Schools Legally Charge for Fees and Uniforms? Should Schools Perform Drug Tests on Students? Should Teacher Salaries be Public Information? What are the Biggest Problems Facing the Public School System? Yoga in Schools: Good Fitness or Religious Indoctrination? Should Schools Conduct Background Checks on Teachers? Is Teach for America the Answer for Failing Schools? What is Race to the Top and How will it Benefit Public Schools? God, Allah, Christmas, and Ramadan: Should Any Religion Be Expressed in Public Schools? Are Public Schools Facing Privatization Amidst the Economic Crisis? Is Your Child Safe Riding Riding the Public School Bus? Public School Holiday Celebrations: Christmas-centric or Multicultural? What are Common Core Standards and Why Do We Need Them? Should Public School Students be Allowed to Pray Before Lunch? Are Cell Phones and Public Schools Becoming a More Amicable Union? Should Global Warming Be Taught in Public Schools? Bringing the Bible Back to School: A Revival? Public School Nurses: A Necessary Rx? Vouchers for Special Education: Are They a Good Idea? Testing Students for Alcohol Use: Violation of Constitutional Rights? Will Public School Students Soon be Taking More Standardized Tests? Do More Police in Schools Result in More Students in Court? The State of Spending for Public School Education: Who Leads the Country? Bill Gates: The Savior of Public Schools? Are City Mayors Taking Control Over Public Schools? Is a Michigan Teacher Being Punished for Defending Homosexuals? 2011 Classroom Size Update: Are Classes Still Growing Larger? Will Your Child Fail in a Larger Class? In the Aftermath of the Chicago Teachers Strike: What Happens Next? Is a Major Overhaul Coming to Texas High Schools? Are Public Schools Going on the Auction Block? Is School Reform doing More Harm than Good? CSCOPE: Innovative Curriculum or Threat to America’s Youth? How is Your Child’s School Using its Stimulus Check? Are Waivers the Answer to the “No Child Left Behind” Program? Will Public Schools Reassign Your Child to Another Campus? Is Student-Based Funding Coming to Georgia Schools? Are Public Schools Still Fighting for De-Segregation? Is Traditional Teacher Tenure On Its Way Out? Are the Three Rs Robbing our Children? Are Public Schools Protecting the Environment? A comprehensive look at teachers, tenure, and unions. Learn how unions impact school performance. Explore the impact of education reform on teaching qualification standards, traditional unions and controversial tenure rules. Washington DC's Gains Under Michelle Rhee: A Result of Cheating? Are Your Local Public School Instructors Still Qualified to Teach? An In-Depth Look at Common Core – What’s Working and What Isn’t? 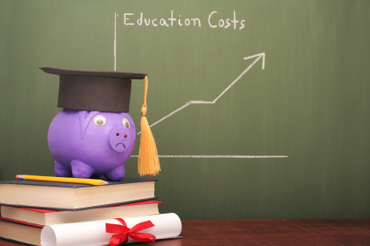 How Much Does It Cost to Educate a Child? Do Public Schools Need to Teach More Math and Science? Can Your Child’s School Meet the National Standards? Are Vouchers Destroying Public Schools? Is Your Public School’s Zero-Tolerance Policy Punishing Innocent Students? Are Service Dogs Too Distracting in a School Environment? Should Ethnic Studies be Banned in Public Schools? Should Public Schools Hold Graduations at Churches? Is Shakespeare Getting the Boot from Public Schools? Going Green: Should Public Schools Teach Green Lessons?